This year I spent my Easter in a kind of unusual way – we went for a barbecue ! My aunts friends have a huge terrace in Dublin where we spent the whole day and evening because the weather was that nice. For the barbecue I chose a simple outfit. Burgundy jeans, a shirt and jacket for colder times of the day. The shoes were the only eyecatcher – golden glitter oxfords, that are one of my favorite shoes at the moment. Right now I’m back in Germany and I still have to do a lot for school. I’m just so lazy ! Have to find some motivation! oh danke für dein liebes kommentar :) ja klaro aus frankfurt :) kommst du auch aus frankfurt? ich find deine hose echt sau geil! ich hab ne sprachreise gemacht und war in einer gastfamilie in der nähe von london, aber das shopping in london gehörte natürlich dazu! Und du hast einen echt schönen Blog, der jetzt verfolgt wird. Amazing photos, that outfit is great! You look so amazing ! cute pics! love the jumper and the jacket! Like the pictures, you remind me of a girl from my childhood. Hey, thanks for your sweet comment! Thanks for finally writing about > "Barbecue in Dublin!" < Liked it! Hi! 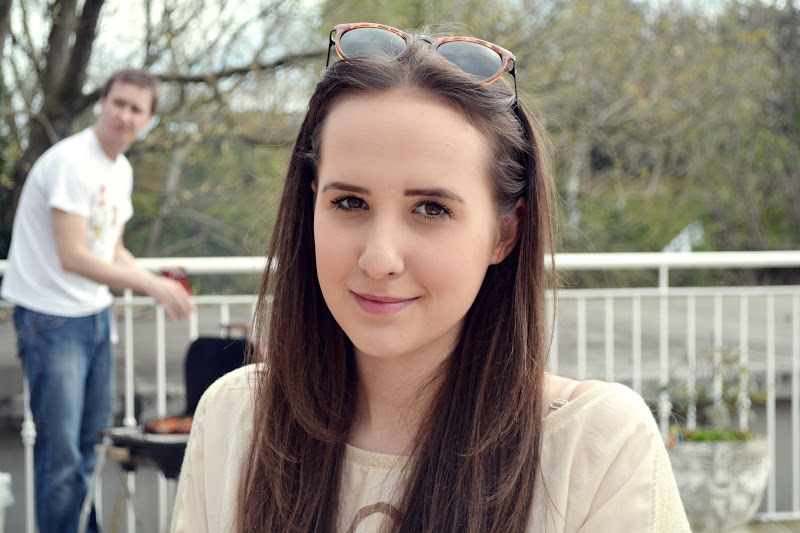 I'm Jessica, half serious, half ironic blogger based in Frankfurt, Germany. I'm deeply in love with fashion, I have more shoes than time to wear them and an irrational fear of wasting a good outfit on an insignificant day. I laugh at trends by wearing them. Always trying to explore the world. Can't be taken too seriously.